QUATRO ISLAS DAY TOUR, embark on an Island hopping around "Four Islands" belonging to the municipalities of Inopacan and Hindang, in the heart of Leyte, province. 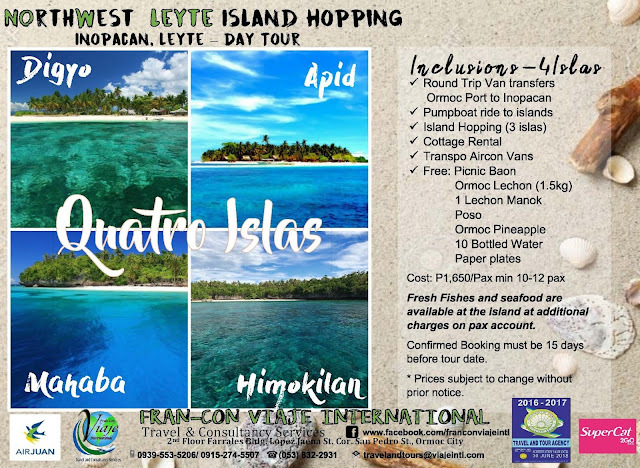 (Apid, Digyo, Mahaba, Himokilan) makes up the famed pristine, crystal clear waters of Quatro Islas. Get to enjoy the abundance of Palm Trees, Sun and Sand bars, while embracing the naked island life. Picnic Baon - A taste of Ormoc City "Lechon", "Puso" or Coconut leaves wrapped rice. Freshly picked and deletacbly sweet tasting Ormoc "Queens" Pineapple, bottled waters and paper plates. 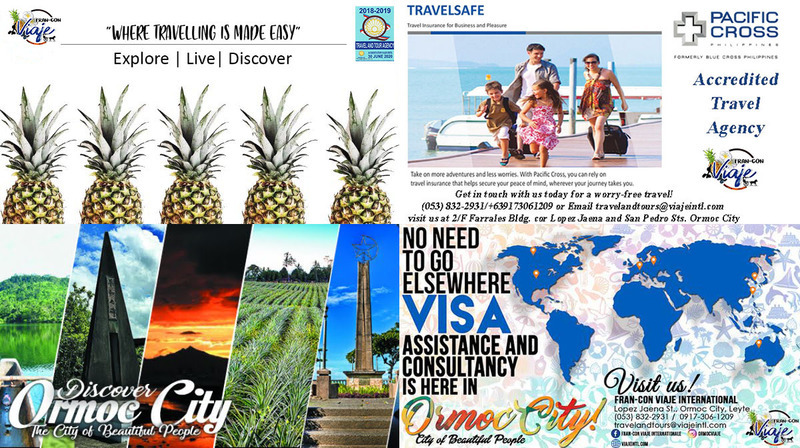 "Where Travelling Is Made Easy"